This week the Culture Collide festival came to San Francisco for the first time. 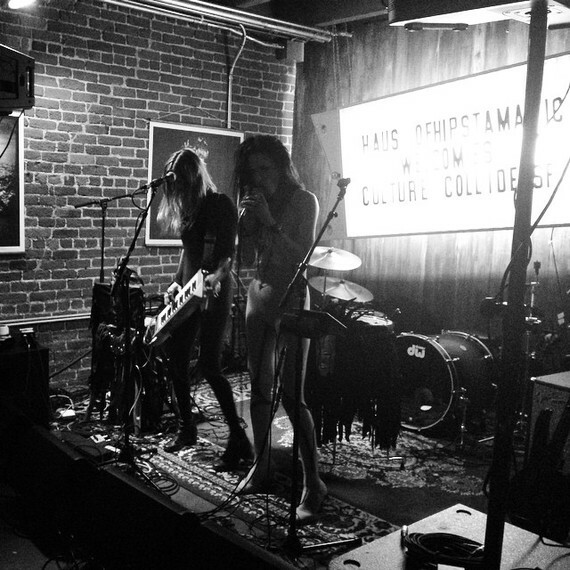 Several intimate venues in the Mission hosted 25 bands from around the world for two nights. The tiny international music festival that started in LA has grown immensely in only 5 years. On Wednesday night I caught WAG from our very own SF at the Elbo Room. Their sound was reminiscent of 90's grunge but with a much more upbeat, even danceable influence. The crowd was small, being that it was an 8pm show, but they were enthusiastic none the less. Next I headed to Level & Tyson at The Chapel. The Norwegian outfit was comprised of 2 women and 3 men all sporting wardrobe choices not unlike our local San Francisco hipsters. They may have come from halfway around the world but they fit right in with their Mission counterparts. Also dealing with a fairly small crowd, they chatted with the audience quite a bit which helped avoid those awkward silences. Once they started their set they definitely made up for the lack of audience. Heavy on the guitars but also on the harmony, their sound was refreshingly unique. Coupled with their enthusiasm it was no surprise they had most of the crowd dancing a few songs into the set.